Raised in Buenos Aires, Argentina, Cantor Marcelo Gindlin has served as the full-time Cantor at the Malibu Jewish Center & Synagogue since 2000. 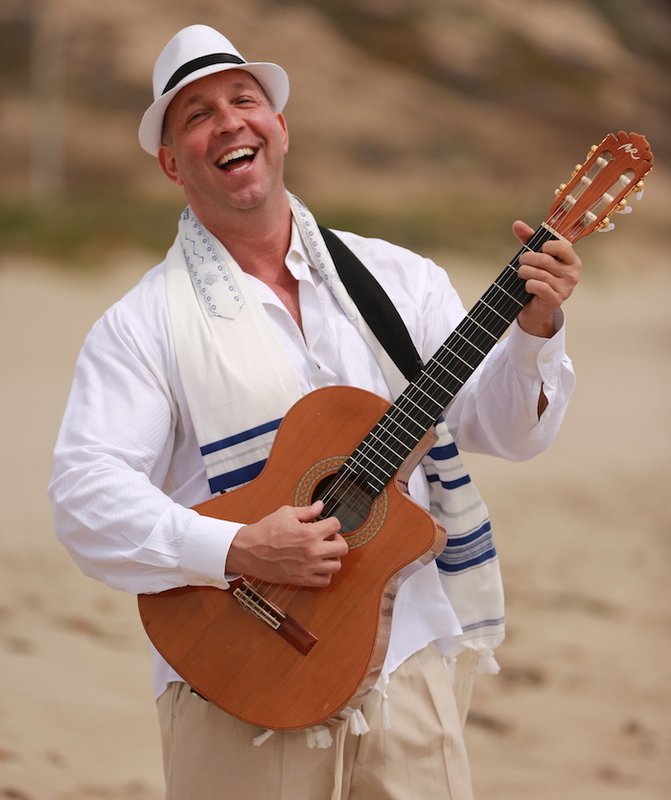 He is a member of the Cantor’s Assembly of America and in addition to his certification as Hazzan and Ba’al Tefillah from the Seminario Rabínico Latinoamericano, Cantor Marcelo has two degrees in music therapy and has extensive experience as a teacher, composer, choir director, and performer. The Cantor has published several scholarly papers in the field of music therapy, and has presented at international conferences and seminars. Cantor Marcelo is a natural-born performer. Born into a musical family, his father, Moises, was a professional opera singer, and his sister, Mariana, is also a Cantor. The Cantor’s radiant personality and warmth light up the stage, as well as the pulpit. Audiences worldwide have delighted in watching him sing and dance at cantorial conferences, synagogues, and performance halls. Cantor Marcelo has performed numerous concerts as a soloist with the Los Angeles Jewish Symphony, including the Sephardic Ladino Concert at the Ford Amphitheater in August 2008. His goal of reaching a wide audience has led him to organize various shows, including Hazzanim concerts. 2007: Cantor Gindlin released a CD for a children’s book, Alfie’s Bark Mitzvah, in collaboration with author Shari Cohen, and led a Kabbalat Shabbat Service in honor of Israeli Prime Minister Ehud Barak at the University Of Judaism. March 2009: Cantor Marcelo was invited by the Cantors Assembly to sing at Auschwitz. July 2009: The Cantor was invited to sing at the Krakow Symphony Hall in Poland and in Israel. December 2010: Cantor Marcelo was asked to sing in honor of Israeli Vice Prime Minister Moshe Ya’alon in front of thousands of people in Anaheim, CA. Cantor Marcelo is the 2012 recipient of the Malibu Times’ Citizen of the Year Award. Cantor Marcelo is also the 2013 recipient of the Malibu Music Festival’s Music Educator of the Year Award. The Cantor’s “Tot Shabbat with Cantor Marcelo” CD has been distributed worldwide, winning rave reviews from Jewish communities in New Zealand, Argentina, Lithuania, Mexico, Israel, Canada, and the United States. A second CD, “Shabbat and Holidays with Cantor Marcelo and Friends,” contains Cantor Gindlin’s song, Candle Blessing. This original composition was a finalist and performed at the 2008 International Music Festival Shalshelet and is presently performed in synagogues throughout the world. Cantor Marcelo’s 2008 recording of the song Hine Ma Tov with actor Adam Sandler appears in the CD “The Jewish Songbook,” along with songs by Barbra Streisand, Neil Sedaka, Marvin Hamlish, and others notable singers. Cantor Marcelo is featured in the last 4 CD’s of “The Spirit Series” produced by the Cantors Assembly and the United Synagogue of Conservative Judaism. Volume 13- The Spirit of Simcha and Celebration, Volume 12- The Spirit of Hope and Healing, Volume 11- The Spirit of Jewish Children ‘s Music and Volume 10- The Spirit of Shalom. Cantor Marcelo is fluent in Spanish, English, Hebrew, and Yiddish and sings in these, as well as other languages. He resides in Malibu and draws inspiration from the beauty around him. Shalom! You’ve been asked to take an aliyah or you just want to perfect your pronunciation of some of our prayers. Here is where you can practice. Then try it yourself. Soon you will be confident enough to join us on the bimah!